Anchor Food Professionals Pastry and Culinary Challenge is back to shape Malaysia's Future Master Chefs! An unrivaled leader in the dairy foodservice industry, Anchor Food Professionals has once again raised the benchmark in the industry by hosting the highly anticipated Anchor Food Professionals Pastry & Culinary Challenge 2018. The Challenge was a four-day competition starting 13 until 16 March based on three categories namely Culinary, Cake and Pastries. Culinary and Pastry maestros were invited to form the luminary panel of judges with Chef Jean Francois Arnaud MOF serving as the Head Judge in Pastry Category, along with Chef Nazeri Ismail, and Chef Arthur Heng in this category. In the Culinary Category, Chef Gerhard Albrecht serves as the Head Judge, along with Chef Fami Taufeq and Chef Sabri Hassan. Linda Tan, Director of Anchor Food Professionals shared that competitions like this are important for the industry as it provides a platform for the sharing of experience and knowledge, nurturing the potential of Malaysia’s future culinary and pastry artisans and elevating the standards of the food & beverage industry. This especially is stepping stone for amazing young chefs in the country who can reach greater heights with the right encouragement. Each day of the challenge will see different contestants from different industries competing in Pastry (13 March; Bakery channel), Cake (14 March for Bakery Channel and 15 March for Hotel Channel) and the newly added Culinary Category (16 March for Hotel Channel). In the Pastry Category the contestants wee required to create a simple croissant and a Danish whereas under the Cake Category each contestant were required to create two types of cakes with Mango and Strawberry themes respectively. I was invited to witness the finale for the Culinary Category where the theme was Land and Sea of Malaysia with an inculcated twist of Modern French Cuisine. Contestants were required to prepare a 3-course meal based on the theme and criteria given. Each dish has to be make full use of Anchor's leading products in the dairy segment namely Anchor Cream Cheese, Anchor Butter Sheet, Anchor Butter, Anchor UHT Milk, Anchor Whipping Cream, and Anchor Extra Yield Cooking Cream. During the Culinary Category, mystery ingredients were revealed which has to be incorporated in both Hot/Cold Starters and the Main Course. 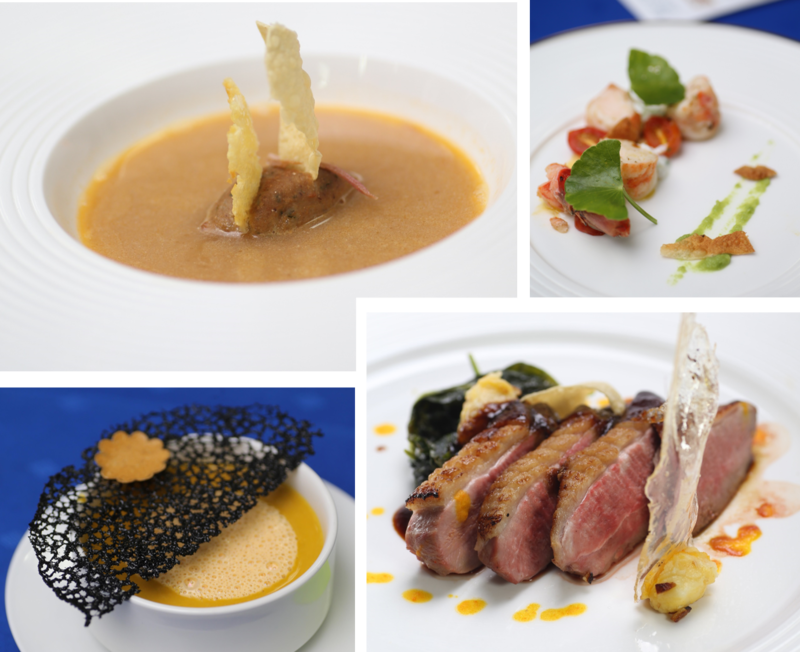 After the grueling challenge, Nigel Walter Lazaroo (The Face Suites, Platinum Victory Resort), Muhammad Ikhwan Bin Mustafar (One IFC Hotel) and Muhammad Khidir Bin Md Augusti (Hotel Istana) impressed the panel of judges and topped the rest with their dishes. The winning dishes were really innovative and it amazes me how some of them have really great skills despite having minimal experience working in the industry. Kudos to Anchor Food Professionals for pushing the limit and revealing all these gems in the Food industry! Should We Pay Rent Via Credit Card?